Although the weather in Gran Canaria is mild and sunny all year round, May is when the temperatures really start to rise and you know that summer is almost here. The average temperature of the sea is above 20°C in May, which means that it will be warm enough for almost everyone to enjoy a good swim. If you are looking for an early summer holiday, with sunbathing and swimming weather but without the big prices and big crowds, then Gran Canaria is a good destination for May, except for the last week when the prices skyrocket due to the UK school holidays. So if you're planning a family holiday to Gran Canaria and you want to bring the kids, we advise you to book in advance if possible, as the prices will go crazy, especially for flights (if you are booking them separately). The temperatures during the day in May are between 22°C and 25°C, which means that you will be able to sunbathe comfortably during this early summer month. May is also a good month to visit Gran Canaria is you plan on having an active holiday, with plenty of walking and hiking day. The days are longer, the temperatures rise and there are far less chances of rain and storms compared to the previous winter months. Also, in winter, many people prefer to stay only in the south of the island, but when May comes around the weather starts to warm up considerably in the north as well. So if you are the type of person who loves to explore and visit places, you could book an accommodation in Las Palmas or Teror for a few days, to experience a different Gran Canaria from what you know in the south. 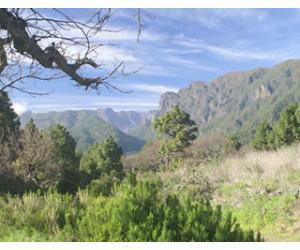 The weather in May in Gran Canaria is almost dry, with no rainy days, especially in the southern resorts. The maximum temperature ever recorded in May was of 36.4 °C and the temperatures will rise significantly towards the end of the month, as the summer season approaches. 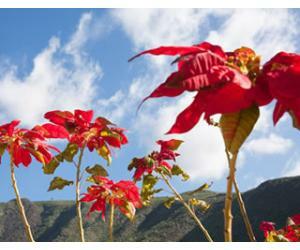 May is a green and colorful month in Gran Canaria, with lots of vegetation and flowers in full bloom, after the spring and winter months, when the island usually sees some precipitation. 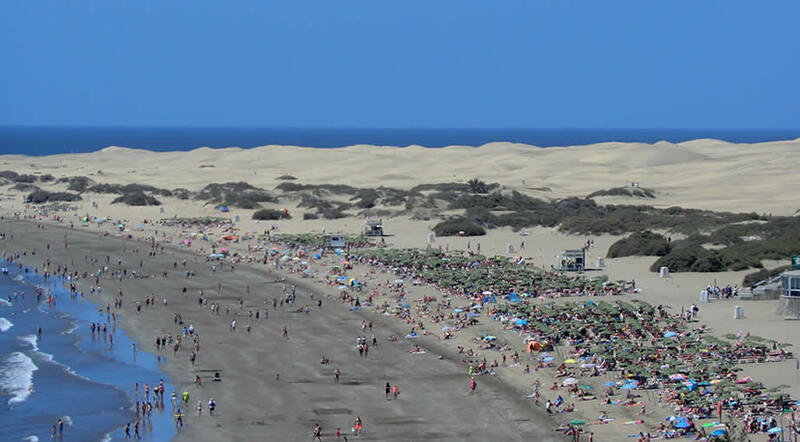 The most popular time to visit Gran Canaria in May is during the school holidays, so prices will be high, especially when it comes to flights. There are slim chances of getting a good last minute deal on flights, so booking in advance is recommended when traveling in high season. The average high temperature in May in Gran Canaria is 26.3°C, while at night you can expect average temperatures of 16.3°C. The highest temperature ever recorded in Gran Canaria in May (at the Airport station) was of 36.4°C and the lowest was of 12°C. Compared to April, the amount of rain the island gets in May drops by 3 to 4 times, so you shouldn't worry too much about rain if you plan to visit now. As you can see, there are almost 9 hours of sun each day, so May comes not only with warmer days, but also longer and sunnier ones, perfect for sunbathing. 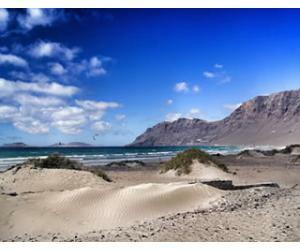 Can you swim in Gran Canaria in May? With an average temperature of 20.1°C, the ocean is warm enough for swimming for most people. 19°C is considered by many like the minimum temperature for swimming without a neoprene suite, so in May you should be ok, especially towards the end of the month. 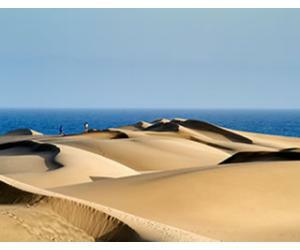 We recommend coming to Gran Canaria at the beginning of May, if you want a peaceful and relaxing holiday. 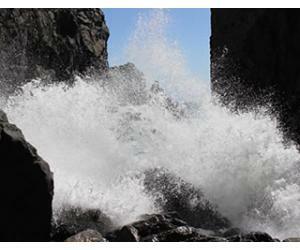 We believe that May is perfect for enjoying nature walks and visiting the island's natural attractions. Pico de las Nieves is Gran Canaria's highest summit, but unfortunately you can't go hike to the very top, because there is a military base in that area. 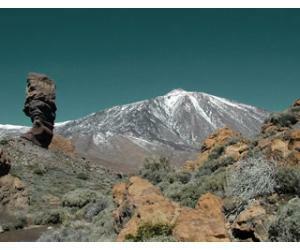 However, there are lots of trails around Pico de las Nieves and the access there is easy, due to the road used by the military, that can also be used by the public. Although you can't see the Finger of God anymore (Dedo de Dios - a natural monument that was destroyed during a storm), Agaete is still a lovely small town to visit, with a lovely harbour where many day tour buses stop. The best way to get here from the south if by car (and we really recommend that you hire one), or you can use the public buses as well, but depending on where you are staying in Gran Canaria you may have to change several times. All the Canary Islands celebrate Dia de Canarias on 30th of May and it's a public holiday, so most of the institutions and shops will be closed. 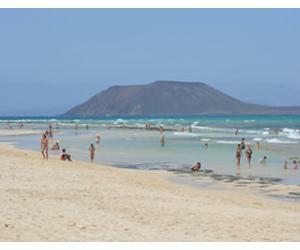 There are various celebrations on the island and you can ask as the local tourist office for more details.